Officially A Yuppie: EXCLUSIVE! Kele INTV! 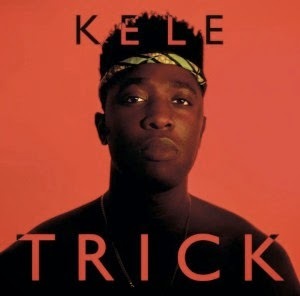 The title of your new album is called “TRICK” what does it signify? Well I heard the term when I was living in New York. My friends would use it to describe people they had been intimate with briefly in the past. To me the title signifies the deception that occurs between lovers, negotiations in which half truths are told. This is your second solo album, what did you do differently on this record that you did not do the first time around? Stylistically for sure, it’s a different record but that’s because I am a different person. However I don't see as serving any other function than the function of self-expression. TRICK is what I wanted to express in 2012 to the start of 2014, that’s all. With The Boxer I was super excited about being in a studio on my own, I was sampling everything sound that I could get my hands on, I was trying every plug-in, I feel the record reflected this. With TRICK I was super conscious about space, I wanted everything to feel a little underdone. Each record is a candid look at who you are as a person and is a different form of a expressing yourself. What is it about “TRICK” that audiences will learn this time around about you? I don't really know. I guess it’s the first time I'm sung about desire. I was always slightly repulsed by that sort of "I love you" egotism in pop music and I'm glad with this record I've managed to avoid those pitfalls but still talk about what it means to relate to other human beings. Pop music as a principle is built on the idea of salvage and renewal, there is a constant sense of lineage to explore but there weren't really any artists I was trying to emulate. It was more the fact that I was DJing every weekend for the last 2 years. It’s kinda changed how I listened to music. It’s now more of a meditative experience. I was trying to capture that feeling on the record. This is your first record since Bloc Party released Four, what was it like to go it alone again without the band? It was actually fine. I love being in BP, I love the sweating and jamming and the all of it but I am also very happy to stand on my own. Will there be another Bloc Party record? Aside from doing your own music, you also DJ. What is it about DJing that you have fallen in love with that art form? Well I like how selfish it is. I mean of course you are entertaining a room full of people but you are playing the music that you want to hear. For me it’s all completely spontaneous, you are talking the club on a journey and you are in the driving seat. Would you ever consider releasing an EDM album or a record where you would provide beats and have singers like you did with Tiesto? I don't think I would make a EDM record, but I do like the idea of a project where I got to work with other singers. I loved producing Heartbreaker and Candy Flip on Crosstown Rebels earlier this year so a project like that would be next logical step for me. You are associated with New York as much as you are with London. What have these two cities done to influence your career? Well I am very receptive to my surroundings and I guess I’ve spent the most time in both London and NY. Now I actually see NY as being synonymous with my creativity. It’s where 3 of my last records were made. What I love about New York is also what i hate about New York; the speed of the city. If you have money you can do anything you want in NY, you can get whatever you want delivered to your door but I know I could never live there again. Everyone is so caught up in themselves and staying a float, no one has time to let anyone into their hearts.